Good value for money, very simple to operate, quite compact The modest capacity may be a touch too small for some - please check the dimensions listed below prior to purchasing. 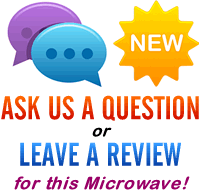 Looking for a basic solo microwave and not intending to spend a fortune? Whilst the majority of people would ideally own a high end combi microwave, we realise that not everyone can either afford, or justify the cost of such a model, and so may desire a cheap yet basic microwave instead. This is where the Daewoo KOR6L77 comes in - a relatively small sized solo microwave, which offers a 20 litre capacity, and a dual dial operation for ease of use. Construction of the KOR6L77 is reasonable for the price - granted it doesn't feel as solid as more expensive models, but for the money we can't complain. As mentioned, the controls are dial based, which are easy to operate, and as such we would recommend this microwave to those who may struggle operating more complex microwaves. Simply set the mode on the upper dial, and then the time period on the lower dial, and you're good to go. The internal size may be slightly too small for some, with a 24.5cm diameter turntable fitted - this should be fine for the majority of plates, but it will be worth checking prior to purchasing. In use, the Daewoo KOR6L77 is slightly noisy but performs it's tasks well - at 700w in power it doesn't heat as fast as more powerful models, but the KOR6L77 still performed admirably, gaining praise from our testers. So should you buy the KOR6L77? If you're after a cheap yet functional microwave for basic cooking and reheating duties, then it's well worth considering. It is very simple to use, and works well. The only potential downside of the Daewoo KOR6L77 is the overall size, which may be too small for some - however this will be an issue with most 20 litre microwaves, and not just specific to this model. 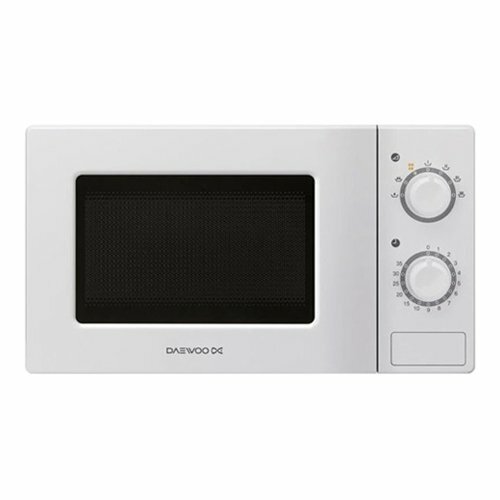 If you're looking for a cheap and cheerful microwave which will be simple to operate, and will heat and cook food with ease, then the Daewoo KOR6L77 is well worth considering. 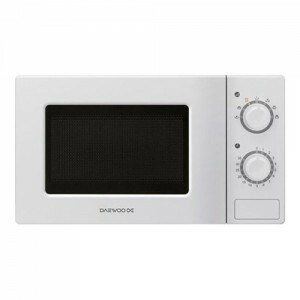 It offers good value, and will be a perfect basic microwave for those on a budget.